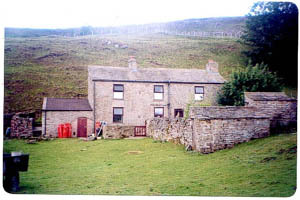 Winterings, high above Gunnerside, was recently offered for sale and the following description and photographs were ‘stolen’ from Charlton’s brochure. Nesting in the fell side of the head of Gunnerside gill enjoying its own isolation with breathtaking views over Swaledale, a superb ‘retreat’ thoughtfully converted from a former farmhouse to a high standard, together with substantial separate annexe farmhouse for renovation, barn and traditional paddocks in total of around 1.5 acres. Suitable only for those seeking the beauty of its isolated setting. 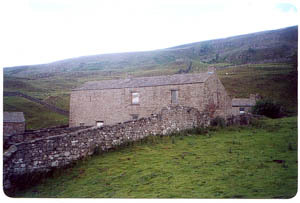 Old Winterings (left), a substantial detached former farmhouse, partly renovated with planning permission. Note: The property is approached by an unmade track on the fell side of approximately 1 mile suitable only for 4 wheel drive vehicles.